How Would You Like To Make Your Will From Only £43 Single or £64 Joint? Want to save 50% and not pay up to £129 like over 100,000 of our satisfied customers already have? If you answered YES then don't delay! Enter your details below now to request a no-obligation call back to find out more. Tell me moreI'm ready to apply! A will is an important step towards peace of mind for you and security for your family. This is why we want to help with this limited offer. And why we think you should too! Our friendly, UK based Will Advisers take care of the entire process and are on hand to walk you through every step of the way. We call on you at time you choose, enabling you to discuss your circumstances and needs from the comfort of your own home. Specialist Will Advisers on hand to discuss your needs and circumstances at a time to suit you, daytime and evening. Your Will Adviser can also provide guidance on additional areas such as Trusts, Inheritance Tax and guardianship of children (more info below). For your complete peace of mind, all of our Wills are checked by our team of experienced Will writers to ensure they are 100% legally valid. Like most customers have already done, select our WillPlus service for extra value, including a secure home for your signed Will and free Will updates for life. 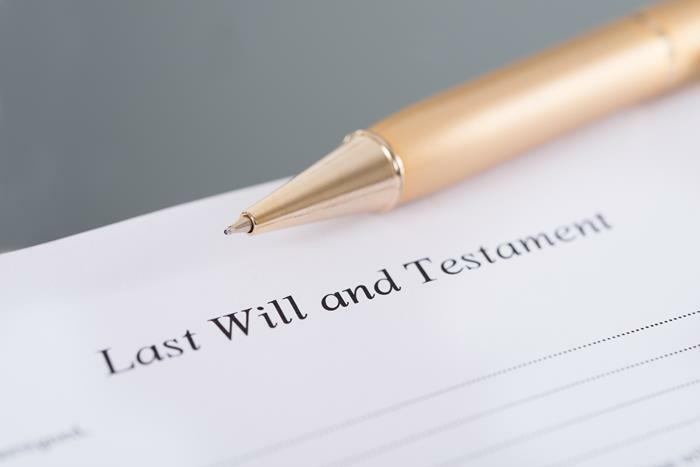 Our Will writing service is excellent value for money – starting from only £43 for a single Will or £64 for a couple (normally £86 and £129 respectively). If you’re not completely satisfied, you can return your unsigned Will within 30 days of receiving it for a 100% no-quibble refund. We’ve worked hard to make our service outstanding. We’re proud to have over 100,000 satisfied customers who can testify to this. Want To Include a Trust In Your Will? Thinking of leaving gifts to minors i.e. anyone under 18 when they inherit? If you have young children (under 18) who you wish to provide for in the event that you (and your partner, if you have one) pass away then we will include in your Will(s) an Accumulation & Maintenance Trust for no additional charge. The Trustees appointed by you can then provide your nominated children's Guardian(s) with sufficient funds to care for your children until they reach 18 or a later age, if you wish, when they can then inherit. If you choose an age later than 18 then additional tax may apply. Want to leave a gift to someone with learning difficulties or someone unable to manage their own affairs? If you have a child who has learning difficulties or some other person who you would like to benefit from your Will who you think may not be able to handle their own financial affairs then you may wish to include a Discretionary Trust. Worried about Care Fees eating up your children's inheritance? If you have a partner then once one of you has passed away if the other becomes infirm and is taken in to care the council could take your home to pay for the care fees. If this concerns you and you want to prevent the council potentially leaving you with nothing for your beneficiaries then you may wish to include a Protective Property Trust. If your home is jointly owned then it may be necessary to change the ownership to tenants in common however we can help with that. Want to allow someone to live in your home after you're gone but not own it? I would like to take this opportunity to congratulate your company on the ease with which we were able to complete the Will, a job that we have been postponing for years!! May I take this chance to thank-you for a quick, friendly and understanding service.